This very rich treatment balm is perfect for the feet at the end of the day. The best application time is before bed. One of the main ingredients is our own wildcrafted comfrey, which will help regenerate & moisturise the skin, while the essential oils soothe, heal and protect. Maybe you could even give your Mum a foot rub? A soothing, calming, balancing, uplifting combination of petitgrain, rose geranium, bergamot and rose. Hand blended and wonderfully indulgent, bring the gentle power these healing oils into your life. A definite ‘women’s blend’. Many clients have found this blend to be helpful for managing anxiety and stress. Use the blend with water in a oil burner, if for use in massage, on the body or in the bath, but always dilute in a carrier oil first. If your Mother is a green thumb this would be the perfect gift! Recommended to use as a treatment for tired hands at the end of the day. After application, this very rich and nourishing balm soaks into your skin to moisturise, soothe and protect. Again, Our own wildcrafted comfrey is one of the main ingredients in the balm, which helps your skin regenerate while the organic essential oils heal, soothe and protect. Notice after a few days application how different your hands feel. 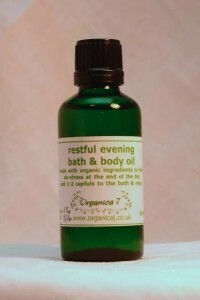 A calming and relaxing blend containing organic essential oils of lavender, rose geranium and roman chamomile. Regain tranquility at the end of the day with 100% organic ingredients. As a bath oil, add to bath and ‘swirl’ water to help disperse. The essential oils will penetrate the skin and the carrier oils leave the skin feeling smooth, moisturised and well nourished. Ahhh, who doesn’t enjoy a relaxing soak in the bath? 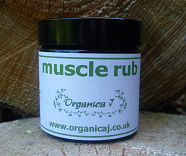 A soothing gel for tired, overworked or stressed muscles and relief from aches and pains. The aloe vera gel takes the essential oils into the body to reach the muscles and gently, but effectively ease stresses and strain. Massage the gel gently but firmly for a few minutes into the affected area twice a day for the most effective results. Not only does it feel good, it smells amazing too! This is one of our newer products, and it’s a miracle worker! 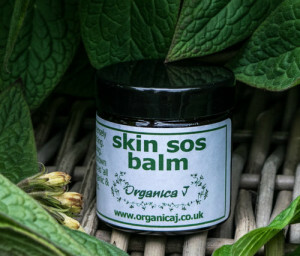 Following many requests from customers for a product that would specifically help with scars, and skin issues, we developed the Skin SOS Balm using a rich blend of powerful organic carrier oils and essential oils, which can be helpful on scars, also on psoriasis and eczema-prone skin. It is protective, calming and regenerating. With the use of the carrier and essential oils this balm penetrates the skin effective nourishing to a deep level. It also works wonders on tattoos and can speed up the healing process significantly! This is one of our best sellers. In ancient times comfrey was called ‘knitbone’,’ all heal’ or ‘woundwort’ and has been used topically for many years for cuts, bruises, fractures, sprains, injured tendons/ligaments, sores and skin ulcers. On the skin, it is an emollient, soothing and was used for scars and blemishes. It was also said to promote a youthful complexion. The Latin name ‘symphytum’ means ‘heal together’. It is now believed that the allatoin (a main component of comfrey) is responsible for the growth and multiplication of skin cells. 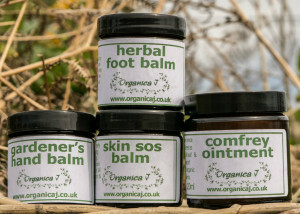 The comfrey used in this ointment is harvested by hand from a controlled piece of private ground in a rural area of Aberdeenshire. Only the most perfect leaves are selected (again by hand) for optimum efficacy and slowly macerated (cold) in organic sunflower oil. 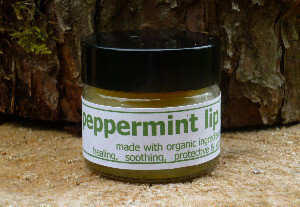 The ointment is a luscious green colour from the herb and has a wonderful feel on skin. The combination of nourishing carrier oils and soothing organic lavender essential oil is completed by beeswax, which gives your skin protection – an added barrier. 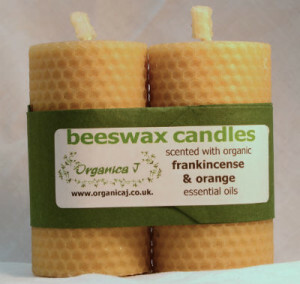 Our Beeswax Candles come in a variety of sizes and scents. They are completely natural, have a long burning time and scent a room perfectly. What woman can’t resist a candle? Love blend which contains ylang ylang, sweet orange, cinnamon, patchouli and rose. This product will give you the softest lips you could imagine! Protect your lips against the elements. Enjoy the benefit of knowing you are using only natural ingredients on this delicate area. 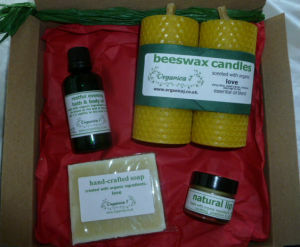 The carrier oils soak into the skin to nourish and soothe while the beeswax acts as a barrier to the elements. Choose from natural lip balm, which contains no essential oils or try our mildly zingy peppermint which contains essential oil of peppermint. 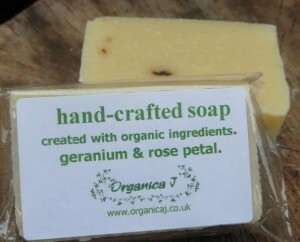 Why not treat your Mum to our luxurious soaps carefully hand crafted in Aberdeenshire, Scotland. Made using organic vegetable oils and essential oils. There’s a high percentage of extra virgin olive oil which is moisturising and conditioning on skin combined with coconut, sustainable palm and sunflower along with the finest of organic essentail oils. Long lasting and leaving skin clean and silky smooth. Free from preservatives, colourings and animal by-products. It is also suitable for vegetarians and vegans. Why not try out the feminine and luxurious Geranium & Rose Petal or Love? 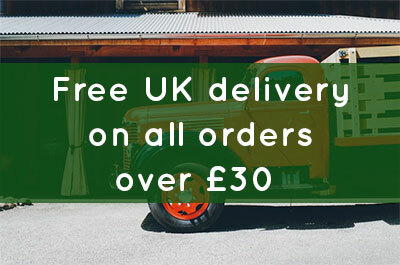 If you still don’t know what to choose, we also do gift vouchers and gift boxes which you can order here. Let us know in the comments below what products you are going to gift this Mother’s Day.